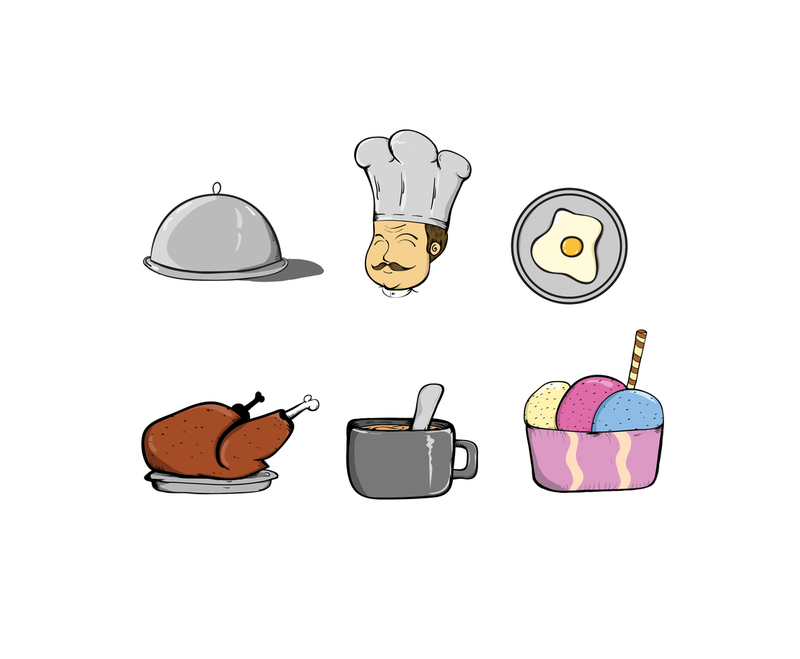 This catering vector set is illustrated in cute way, simple and sketchy. Just perfect when you work on a design that may need sketch-like food related vector illustration. You will get illustration of many kind of food serving, chicken, ice cream, soup in a cup and sunny side up.